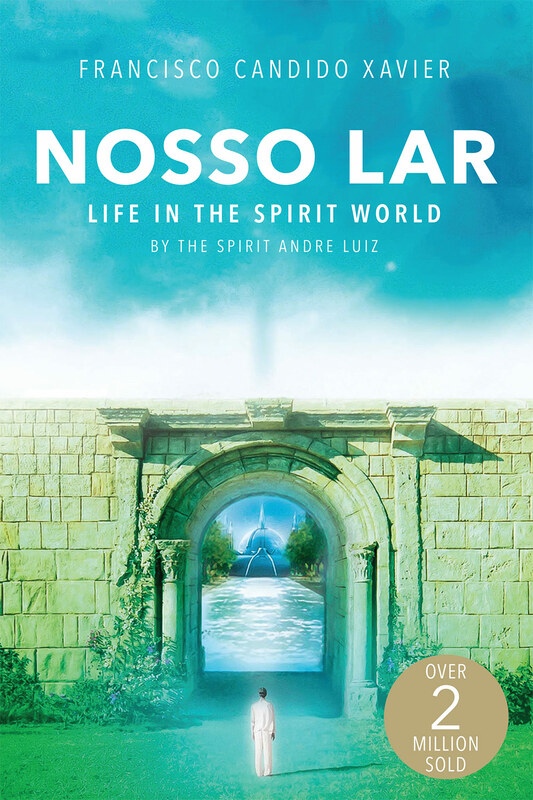 Nosso Lar is the name of the spirit colony that the spirit Andre Luiz introduces us to in the first book of his acclaimed series. In a compelling narrative, the author tells of his impressions and discoveries about life in the spirit world, acting as a sort of journalist who records his own experiences as they occur. Andre Luiz unveils to us an exciting world, filled with life and activity, and which is organized in an exemplary way. It is a place where discarnate spirits go through a recovery stage and a spiritual educational process supervised by high order spirits. Nosso Lar enables us to get a glimpse of the spirit world that awaits us after we leave our physical bodies. Toward the end of 1941, the spirit Emmanuel informed Francisco Candido Xavier (Chico Xavier), about a project to publish books that would enable human beings to know what life is like in the spirit world. Soon thereafter, the spirit Andre Luiz appeared and informed Chico that he had been a physician during his last incarnation on the earth; however, he did not reveal his true identity to the medium. Introduced by Emmanuel as “a new friend and brother in eternity,” Andre Luiz attuned himself to Chico’s mediumistic faculties over the course of 700 days to psychograph Nosso Lar, the first in a series of books, and which was published by the Brazilian Spiritist Federation (FEB) in 1944. With wisdom and discipline, Andre Luiz, through Chico Xavier, has transmitted to humankind valuable teachings by portraying the experiences of the inhabitants of the spirit world. Francisco Candido Xavier, better known as Chico Xavier, is without a doubt one of the foremost personalities of Brazilian culture in the 20th century. A very kind individual, he devoted his entire life to the free assistance of those in need. Due to his charitable work, he was nominated by over 10 million people for the Nobel Peace Prize (1981). Born into a very poor family in 1910, he began to see and hear spirits at age 5. It was the beginning of a lasting relationship, whose outcome would be the publication of over 412 books, all written by spirits through his mediumship. Due to their extraordinary literary quality, the works of Chico Xavier are a real publishing success, with more than 25 million books sold in Portuguese alone. Until his death in 2002, he wrote books in several genres, such as poetry, short stories, and novels, in addition to scientific, philosophical and religious treatises. Many of his books are indisputable best sellers. Some of their contents have inspired films, plays, soap operas and TV programs. Arcadia Press is honoured to be granted the Australian publishing rights to this very special book.